As the CEO of Hovde Properties, LLC, Mr. Hovde oversees the management of the company and all large development projects. Mr. Hovde has over twenty-five years of experience in real estate investing and management. Additionally, Mr. Hovde is the Chairman and Chief Executive Officer of H Bancorp, a $1.4 billion private bank holding company which owns Sunwest Bank, headquartered in California, with offices throughout the West, as well as, Bay Bancorp which is headquartered in Baltimore, MD. He is also the founder and CEO of Hovde Capital Advisors LLC, an asset management firm that focuses on investing in the financial services and real estate sectors of the public equity markets. 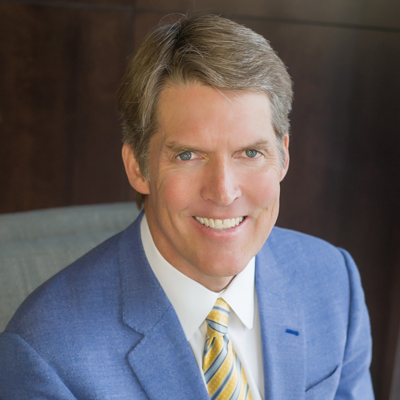 Mr. Hovde has served as a director on numerous community bank and thrift boards and is a director of ePlus, inc., a leading value-added reseller and lessor of technology products and services. Mr. Hovde, along with his brother, Steve, created and fund the Hovde Foundation, an organization that actively supports two central missions – clinical research to find a cure for Multiple Sclerosis and charitable relief for children in desperate need. The Foundation has established Hovde Houses in Mexico City, Mexico; Huánuco, Peru; Winneba, Ghana; Kigali, Rwanda; Mombasa, Kenya; and Xela, Guatemala. Mr. Hovde also co-funded an apartment complex, complete with casework managers and job training, for homeless families in his hometown of Madison, Wisconsin. Mr. Hovde earned his degrees in Economics and International Relations at the University of Wisconsin – Madison. He resides in Madison, Wisconsin and is married with two children.